We are Always There at Your Service. Established in 1996, Hamilton’s Limo and Car Service has earned a stellar reputation for being a reliable NJ car company offering car and limo services throughout New Jersey and the New York City area. We have a team of professional and experienced drivers who have been carefully selected to ensure your trip goes as smoothly as possible. Due to the small size of our private car service we are able to offer personal and reliable chauffeuring services, leaving you without the fear of wondering whether your driver will show up. Our professional drivers are qualified to offer a most reliable, punctual, courteous, and friendly service to all our valued car service customers. Many of our drivers are also professional firefighters and EMT’s and drive emergency vehicles on a daily basis. So you can rest assured you are in safe hands when you call on Hamilton’s Limo and Car Service for any transportation needs you may have in the NJ and NYC areas. Hamilton’s Limo and Car Service holds all permits and licenses necessary to the operation of a “public” transportation company. 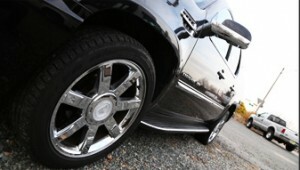 Our NYC and NJ car company is properly bonded and insured to protect the vehicles and its passengers at all times. You can rest assured you’ll always have a safe, on-time ride with our team of professional chauffeurs in NJ and NYC that are local and familiar with the area you are located in and travelling to.